Rock Band 101 is a group program that places kids in age appropriate and skill level rock bands where they are coached by S.W.M's experienced professionals. Each band learns to play 3 to 5 cover songs during a 12 week semester. At the end of the 12 weeks the bands play a concert at a local venue for family, friends and the general public. Instruments included are: Guitar, Drums, Bass, Keyboards and Voice. In the past bands have played songs from classic and current rock bands and performers including The Beatles, The Rolling Stones, Led Zeppelin, AC/DC, Pink Floyd, The Who, Journey, The Red Hot Chili Peppers, Incubus, Green Day, Metallica, Nirvana, The Foo Fighters and more. PLEASE NOTE: There will be an orientation the week of August 21st. This is where you will be informed of exactly how the session will go, meet your band members and ask any questions about the program. All parents and students must attend. 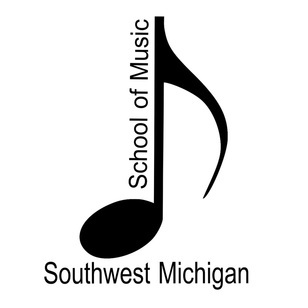 The bands practice at Southwest Michigan School of Music every week for 12 weeks in a 60 minute rehearsal. To get the most benefit out of the program, we suggest band members take weekly private lessons at our school during the 12 week session. The only exception is students who have achieved a higher level of playing ability, which will be assessed by the instructors. Our teachers are specifically trained to teach the students the skills they need for Rock Band 101 quickly and efficiently. We have found that students that do both progress in their ability much, much faster than those who only do one or the other. Private 30 minute lessons are $106 per month. Please call 269 429-7529 to find a suitable time. The rehearsals start the week of August 28th. Tuition is $297 payable in 3 monthly payments of $99. Register now by calling 269 429-7529. Registration ends May 26th. There will be a concert the weekend of . at a venue TBA. We will post ticket info and times asap.